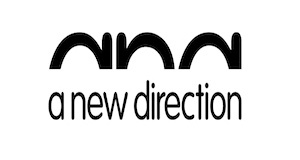 A New Direction is London’s leading organisation for children, young people and the arts, acting as the bridge between the arts and education sector. They are currently conducting research into how schools and cultural organisations accredit young people’s engagement, progress and achievement in the arts. AND’s aim through this research is to gain a fuller understanding of how arts learning pathways are currently supported and endorsed through accreditation, so that they can continue to effectively support young people, schools and arts organisations in the future. If your organisation uses an existing qualification, medal, certificate or award as part of your work with young people and to hear about your experiences of effective or innovative ways of using them, then please follow the instructions below. – How is accreditation integrated into your work? – Are you developing your own accreditation mechanism? – Who is accessing which qualifications and how? – Is there equality of access and opportunity? – Where are the innovative partnerships? – How is the cultural industry involved in accreditation? If you would like to contribute to this research, please complete a form which can be found here and return it by email to: laura.fuller@anewdirection.org.uk by 31 October 2011.